1. 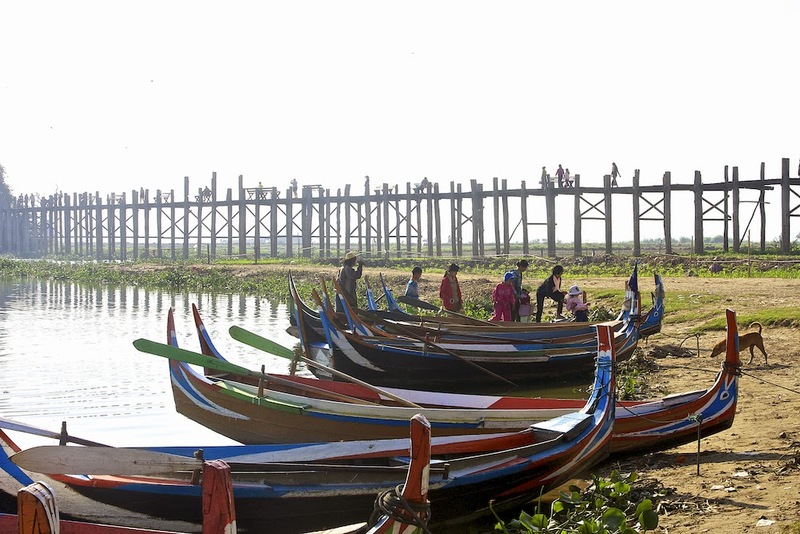 The Longest Teak Bridge in the world, U Bien Bridge. 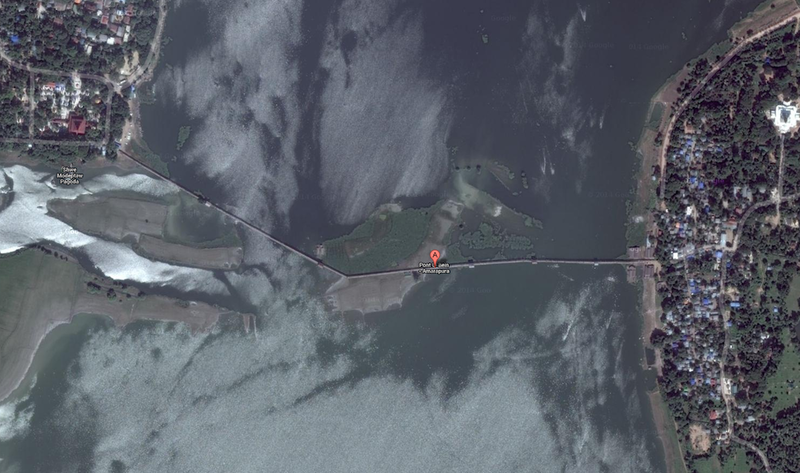 A satellite view from Google Maps. 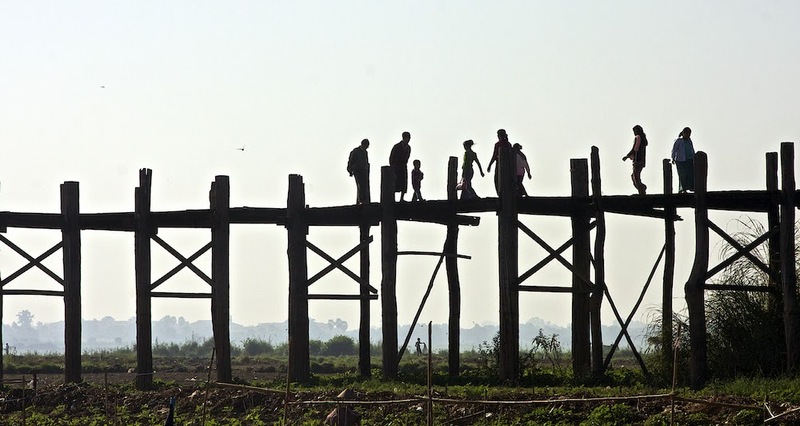 Bridge is 1.2 km. 2. 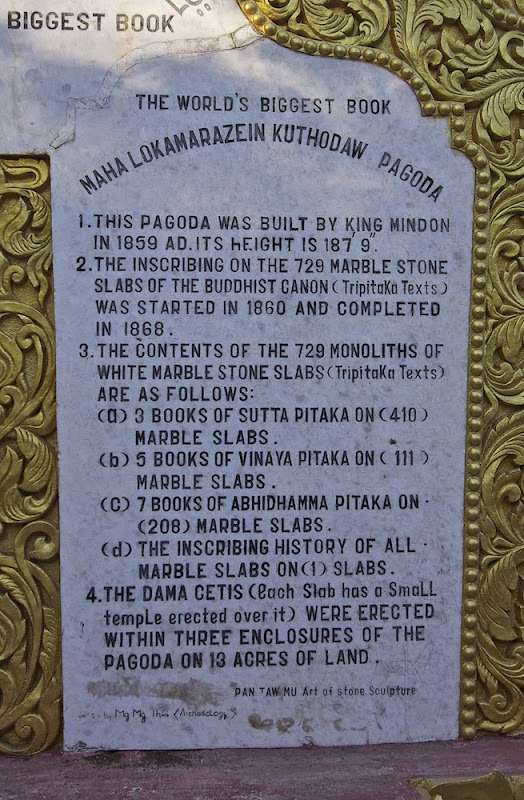 The Biggest Book in the World - Kuthodaw Pagoda. 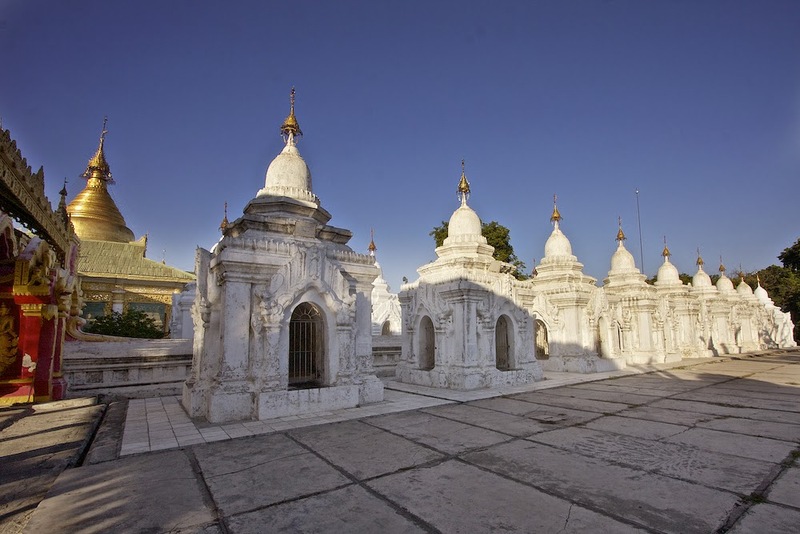 This UNESCO acknowledged world's biggest book consists of 729 "pages" each a marble slab; and each slab is housed in its own little temple on a 13 acre site. 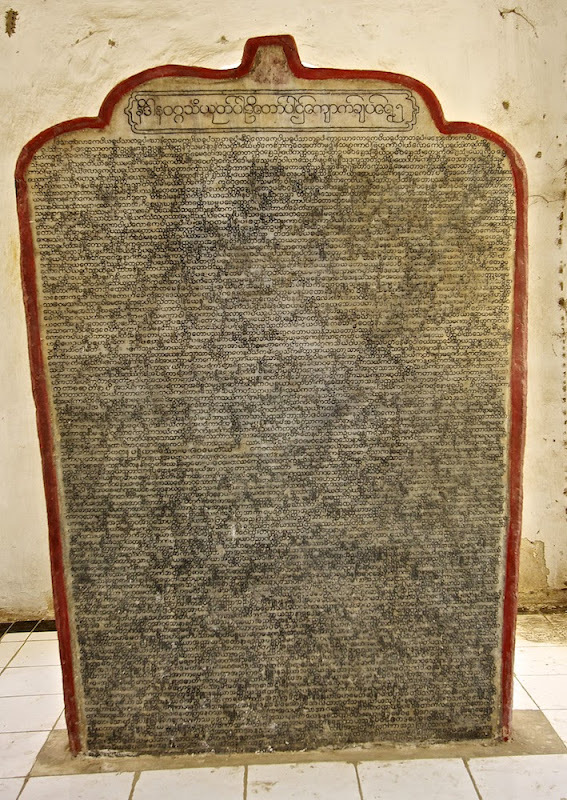 A marble page, with Buddhist scripture on it. 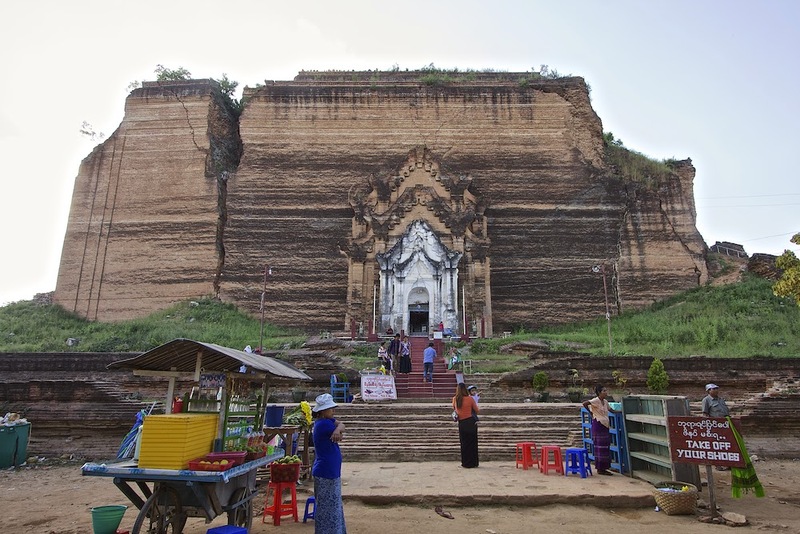 Each page is housed in a little temple. 3. 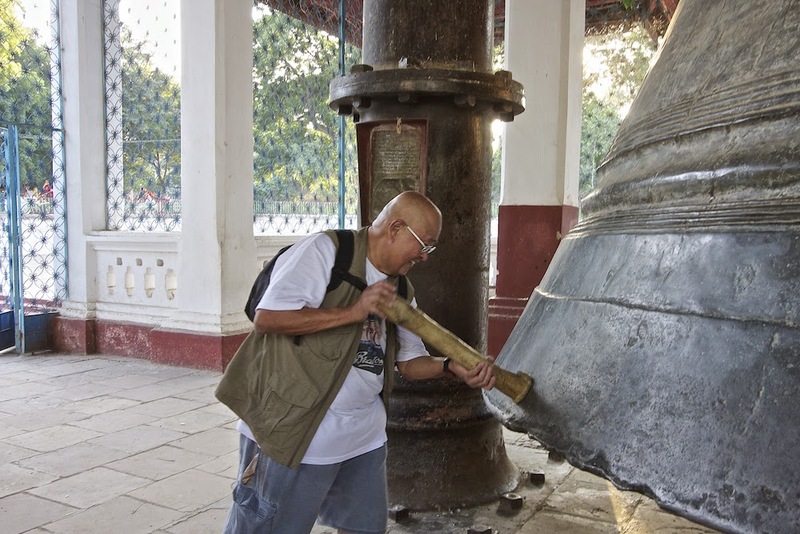 The Second Heaviest Working Bell in the World - the Mingun Bell. 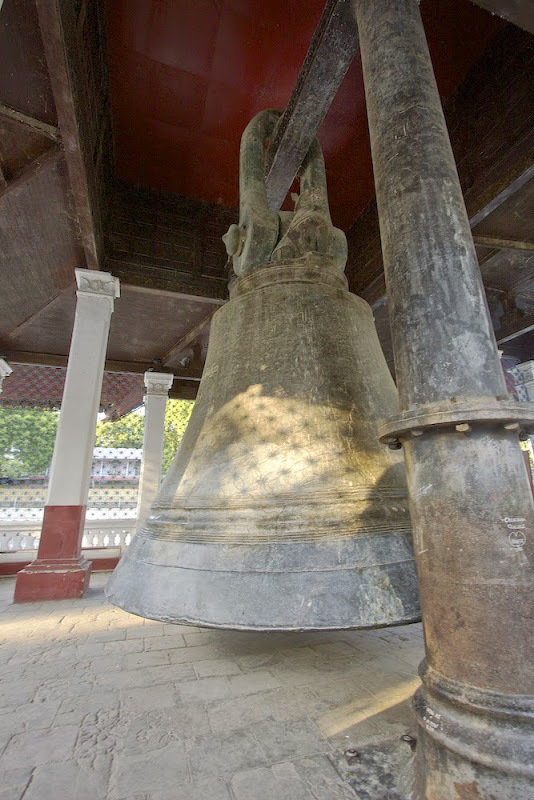 The Mingun bell was cast to hang in the stupa of the Mingun Pahtotawgyi, a huge brick pagoda that was never completed. 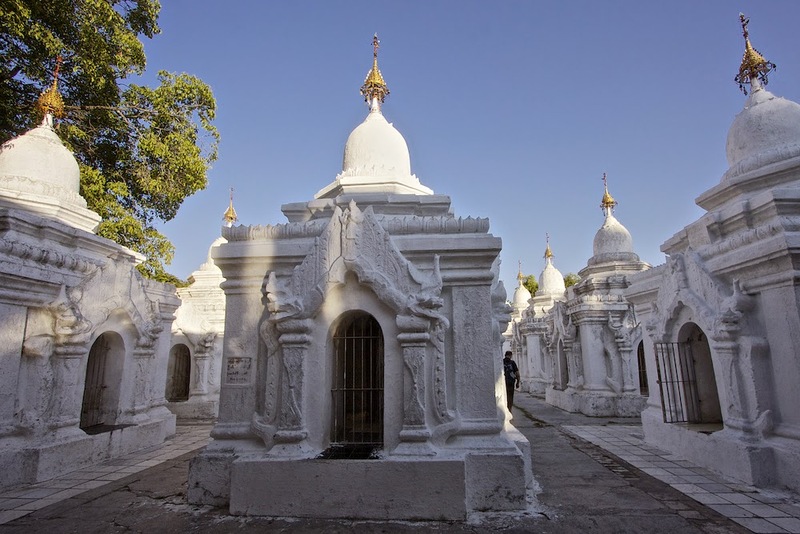 The incomplete Mingun Pahtotawgyi, cracked by earthquakes. 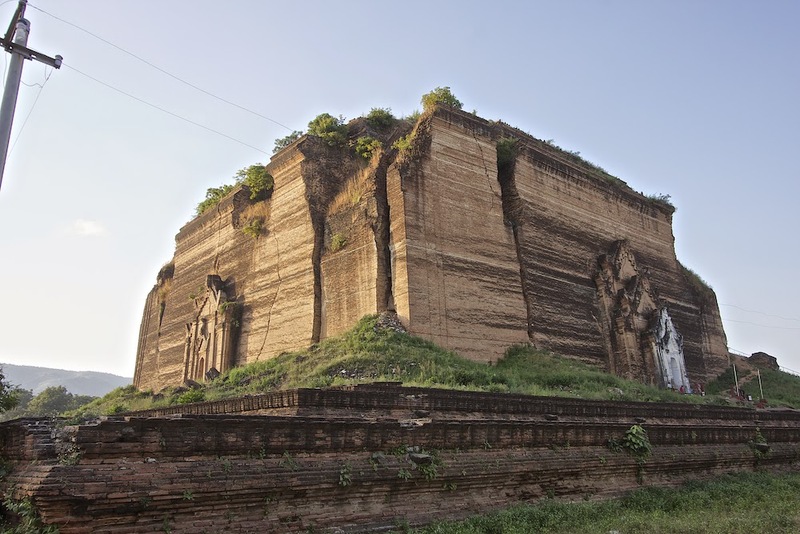 This massive incomplete solid brick pagoda is only 1/3 of its supposed height. 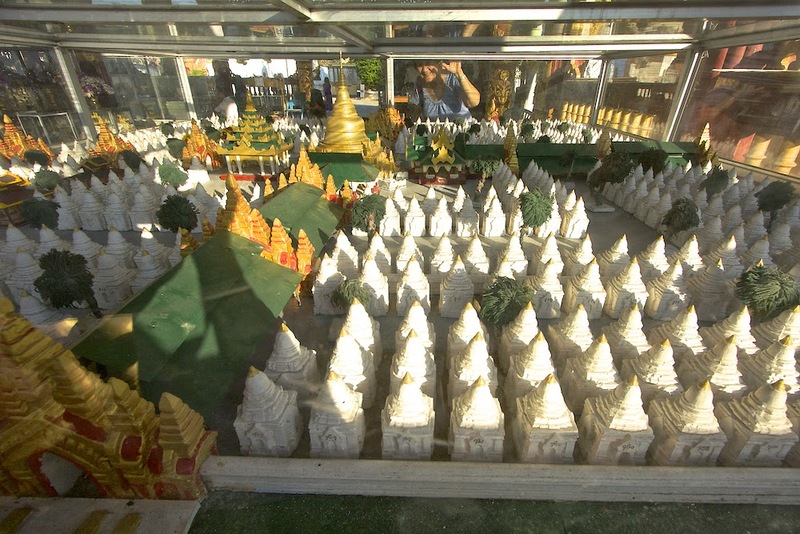 The bell was meant to hang in the stupa that was to sit on this block..
A model of the complete pagoda can be seen here and it can be seen that the above structure forms the rectangular base for the building. I didn't know of this model's existence when I was there and so missed out on taking a pic of it. Wow amazing especially the bridge, Arthur. Stunning! 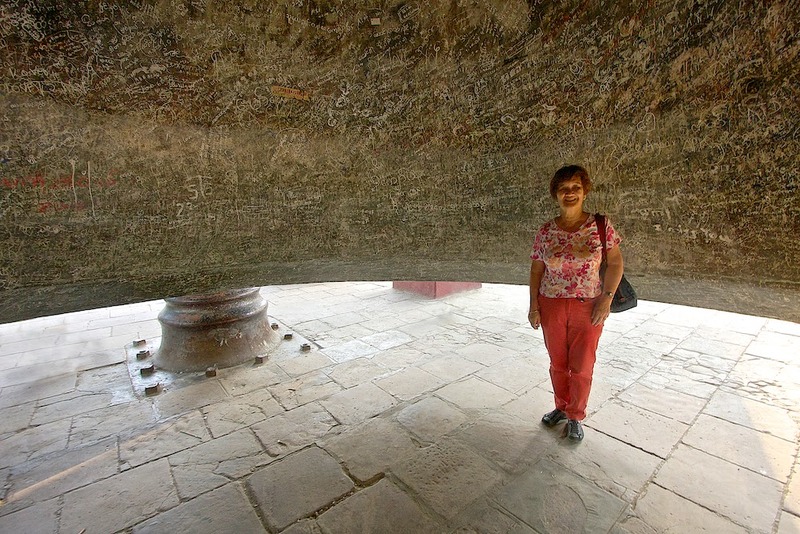 Breathtaking, that last one - the massive pagoda! "Recovering the Past, Moving Forward Together"